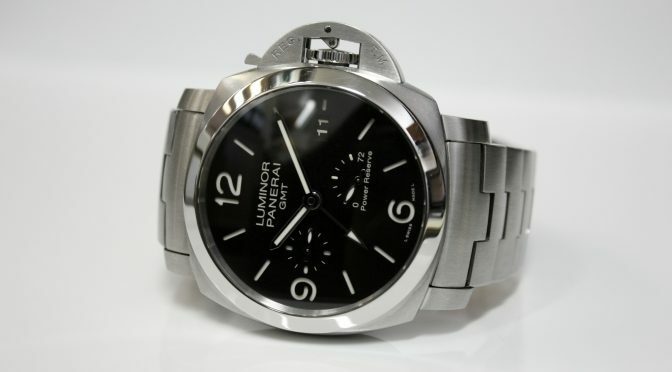 Featured for this deal of the week is a handsome Panerai Luminor GMT with its original box and papers! 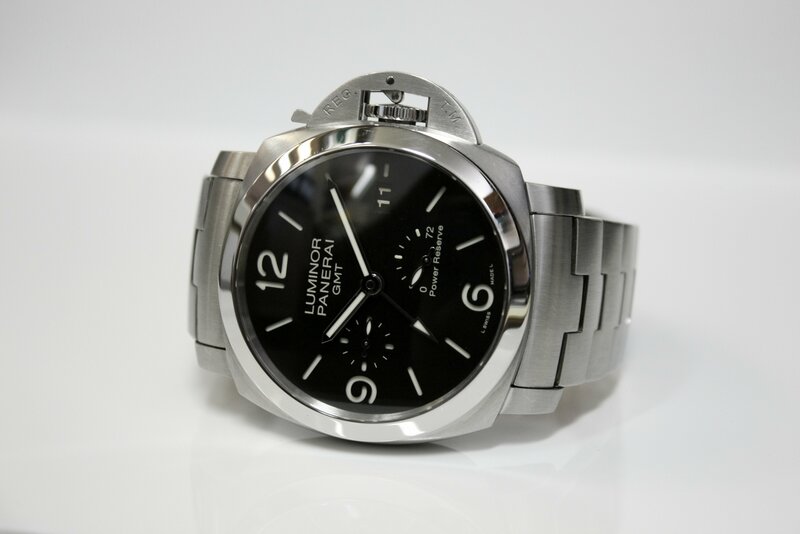 The watch features a 44mm case diameter (not including crown), seconds indicator at 9 o’clock, date display at 3 o’clock, luminous hour markers and hands, a 3 day power reserve (Panerai Calibre P.9002 automatic movement), GMT hand, and a water resistance rating of 300 meters / 985 feet. Previous PostWhere to Buy and Sell Tiffany & Co. JewelryNext PostWhat Exactly Does Jewelry-N-Loan Do?